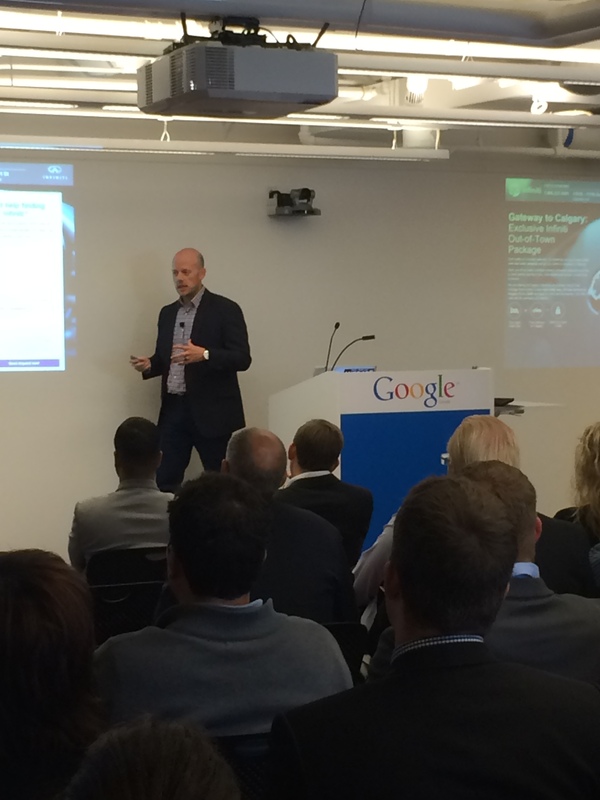 Strathcom is pleased to have hosted our Google Partners Event, where we welcomed automotive dealers from across Ontario to the Google Canada Offices in Toronto. We started the day by pairing a delicious hot breakfast with a little networking, settling ourselves in for two presentations on Automotive Digital Marketing. Kim Rellinger from Google Autos reminds attendees how their online demographic is evolving. 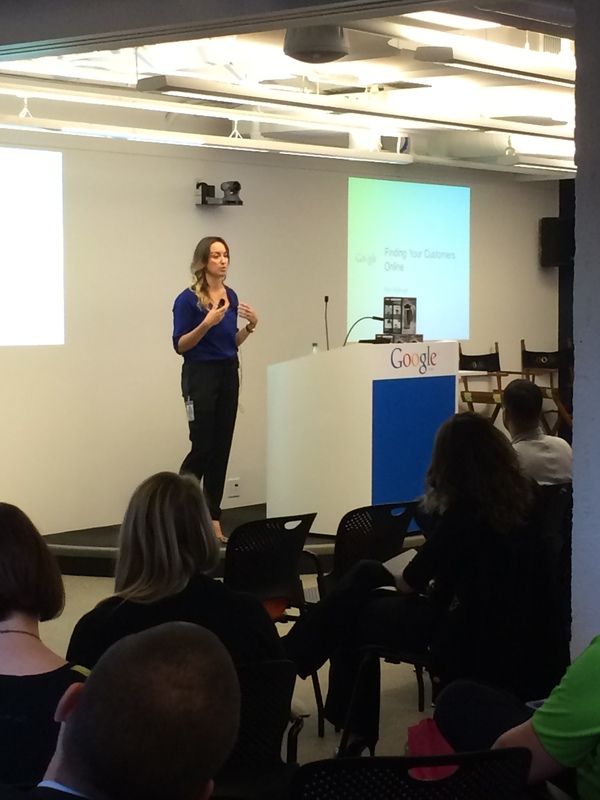 First up, Kim Rellinger from the Google Autos team. She began the talks with her presentation, “Finding Your Customers Online,” and discussed new data trends and insights from the Canadian digital automotive space. Kim provided some interesting new statistics and surprising updates to how Canadians are interacting with advertisers during the buying process. During the very engaging Q&A portion of Kim’s presentation, prizes were handed out including a stainless steel, Google-branded French press coffee maker. Most attendees returned to their offices sharing swag including Strathcom water bottles, USBs, & Google notebooks and pens. It’s all in the game: Strathcom’s Duncan Cochrane shares the promising idea of scalable pre-roll YouTube videos for dealers. Next up, Strathcom’s President, Duncan Cochrane, presented “Expanding on the Fundamentals.” For his talk, he discussed how to leverage online basics to make the most of your advertising spend, as well as key new trends car dealers can take advantage of in the digital landscape to rustle up more leads. Strathcom also unveiled our scalable YouTube pre-roll packages, allowing even the smallest of dealerships to compete in the video advertising game. The lucky dealers were then extended with an exclusive offer for attending. To wrap up the day, Strathcom & Google team members were available for any further one-on-one questions. We had a great time and want to thank everyone who came out to join us! Please stay tuned as we will be hosting future events in Halifax, Ottawa, Vancouver, Calgary, and Winnipeg, with more cities being announced this fall. Want a part of it? Contact us to learn more. 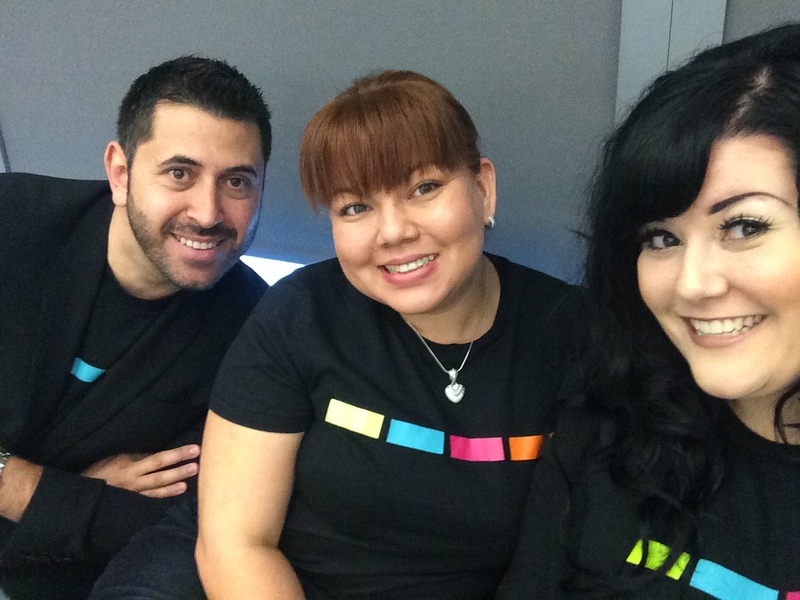 Strathcom Media’s Tony, Liza, & Trish taking in the Google Breakfast in matching SMI t-shirts.